This book is a good study on the source of authority, the purpose of authority, and the application of authority in prayer. 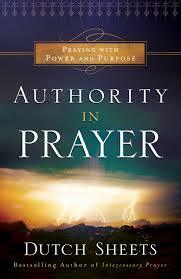 The author gives good, Biblical principles for utilizing authority in prayer. He issues a challenge that to Christians today to pray with more authority and use prayer as a weapon in spiritual realms. I do need to say that much of the book is personal stories and examples of the power of prayer from the author’s life. While I do believe that, through prayer, the types of claims the author makes are entirely possible, I cannot verify the validity of his personal stories. I wish that the author would have spent more time proving his points and building his case from the Word of God which is entirely valid and cannot be disproven. If you pick this book up, please be prepared to “spit out the bones.” There is some meat in there that will make it worth your time. I chose this book from the review site because it was a best-seller and it is about a topic that interests me. Anyone who knows me well knows that tidy and I are very good friends. And so it was with great anticipation that began reading. Three months later, here I am fulfilling my obligation to post a review in exchange for receiving a free copy of the book. It isn’t a bad book. But it is kind of weird. The author often treats inanimate objects as if they were living beings. Giving advice like, “Greet your house.” No thanks. And I must admit, the suggestions for tidying up given here seem obsessive even to me. 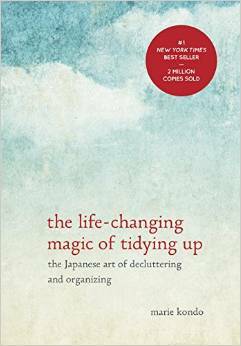 That said, if you struggle with keeping your things tidy or you simply want to improve, you will certainly find some nuggets in the book to inspire and encourage. The process can really be simplified into two words: discard and organize. Do it once. Do it thoroughly. Maintain. It’s spring! Get to cleaning. The Daniel Fast has experienced a trend of sorts in recent years. The Christian book market has been flooded with resources on fasting and healthy living, many of them focusing on the Daniel fast. It is a good thing for us to focus on fasting, the often neglected spiritual discipline. And while I believe in the spiritual power of the Daniel fast, and the health benefits, let us not neglect the forms of fasting that our flesh doesn’t enjoy so much. I now many people who involve themselves in a yearly 21-day or 40-day Daniel fast and have seen great answers to prayer and spiritual growth. The benefits that the fast has on their health is also significant. I even know of some who have decided to follow the guidelines of the Daniel fast more permanently specifically for the health benefits. Whatever your level of engagement, this book is a great resource. The Fast – This part explores different types of fasting, the origin of the Daniel fast, and how it can impact your life. The Focus – This part provides 21 devotionals to feed on God’s Word while you are fasting. The Food – This part contains more than 100 nutritious, recipes that follow the guidelines of the Daniel fast. 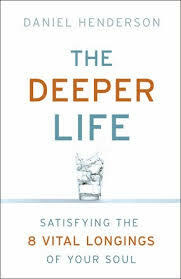 This book is a great resource that allows you to spend less time focused on what to eat and more time focused on the Lord. The author also writes a helpful blog – http://www.ultimatedanielfast.com. What’s the best book that you should read next? 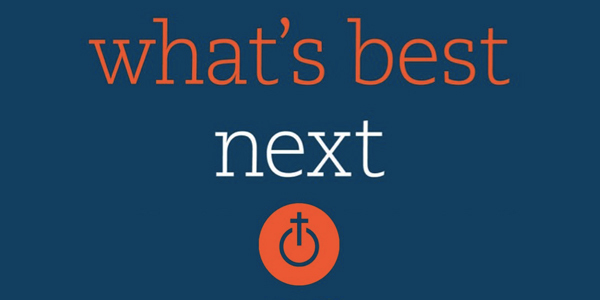 I would have to suggest Matt Perman’s What’s Best Next: How the Gospel Transforms the Way You Get Things Done. This is the most important productivity book that I have ever read. It approaches productivity from a Christian view in light of eternity and exposes the global mission of the individual. Matt Perman doesn’t just give us a philosophy of productivity. He gives us a practical process. Like David Allen’s Getting Things Done, He helps you build an entire productivity system that can be adjusted to suit your personality and work style. Perhaps my favorite thing about this book is the author’s use of the Scriptures in proving his productivity philosophy and process. Never have I seen the topic of productivity so closely tied to the Gospel. It is God’s desire for His people to be productive in expanding the Kingdom of God. Greg McKeown pulled up a chair next to me, looked at my calendar, and read my mail. At least, that is what it felt like. His book met me right where I live. And I would guess that the state that I live in is not so different from the state you live in. The state of panic? The state of overwhelm? Okay, it may not be that bad. But we can’t deny the pressures of the fast-paced, high-demand world that we live in. We live in a world with seemingly limitless options. The flood of inputs and possibilities can be paralyzing. If we aren’t paralyzed, then we likely find ourselves caught trying to manage it all. 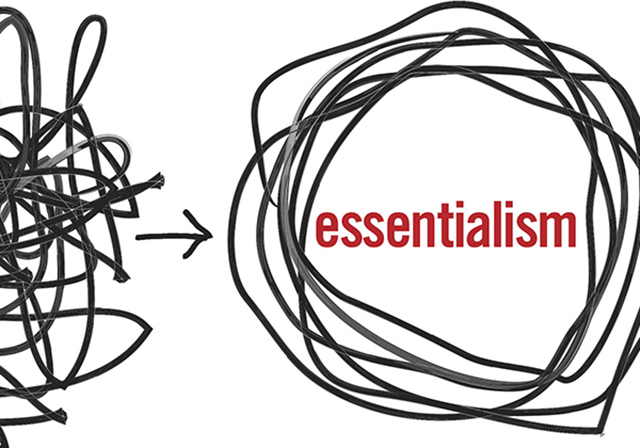 In Essentialism, Greg McKeown gives us an alternative strategy for facing all of life’s demands. He calls it “the disciplined pursuit of less.” It is the art of discerning the trivial many from the vital few. When we give ourselves permission to stop trying to do it all and we stop saying “yes” to everyone, we can make our highest contribution to the things that really matter. I want to HIGHLY recommend this book. You need the focus that employing it’s strategies will bring. Life is short. Much of what takes our attention means nothing in the end. Time is the one thing that you can never get back. We need to invest it in what is essential. I also want to add that Greg and his team have done a wonderful job of making this book appealing to the senses. The pictures and diagrams are playful. The texture of the book is amazing. I enjoyed carrying it around. In fact, I should warn you that if you pick up a hard copy of this book, you will have a hard time putting it down. At first I was surprised and then a bit embarrassed that I had never known the story of the USS Indianapolis. How many times had I walked past the memorial on the canal walk in Indianapolis without ever taking the time to know what was being memorialized? The story, it turns out, is one of amazing courage and survival. On July 30, 1945 the USS Indianapolis was struck by torpedoes from a Japanese submarine. Of the 1,196-man crew, only 317 would survive the ordeal. Some men died in the attack, and many more died in the water, succumbing to wounds or being attacked by sharks. 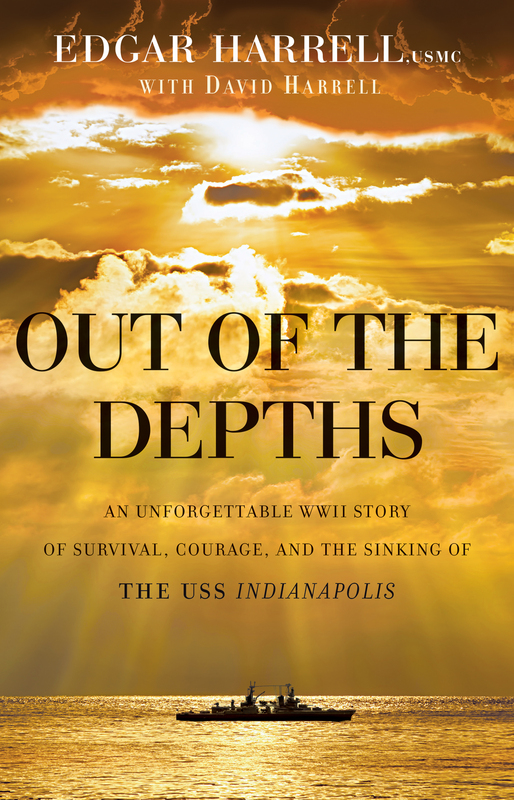 Out of the Depths provides a unique perspective of this tragedy as told by survivor Edgar Harrell, USMC. Mr. Harrell gives us a glimpse into the horror that these men faced while waiting to be rescued. Their courage in the face of adversity is heroic and there is much to be learned as we understand this story as seen through the eyes of a survivor, especially one who saw the hand of God through it all. This is a short and inspiring read. If you don’t already know this story, you owe it to yourself to read this book. As a pastor and a leader, there is much to draw on here in regards to leadership and sermon illustration. I appreciate the bravery and service of men and women like Edgar Harrell, and I am grateful that he found the courage to relive the story so that we could know and learn from this unforgettable event. I was provided a copy of this book for free for review by Bethany House Publishers. I was not required to give a positive review. All opinions expressed here are mine. This book is divided into two parts. The first part is very informational. Henderson reviews these eight longings, giving guidelines to properly answering each question and guiding the individual to arrive at answers that are uniquely their own. As you read this section you will discover that your theology is the basis of your identity. Your identity is expressed through a clear purpose. Your purpose is guided by values. Your values determine your priorities. Your priorities are implemented by your goals. Your goals are accomplished by your stewardship of time. And all of this, when understood clearly and embraced daily, results in a legacy that really matters. The second part of the book is very practical. It is the application of all that was learned in parts one. Henderson guides the reader through a series of exercises to answer the eight questions satisfying the eight vital longings of the soul. The combination of information and practical application in this book make it a wonderful read for anyone who struggles to find their identity, understand their purpose, and establish and accomplish their goals. When we prayerfully answer these questions we begin to understand and fulfill our life’s purpose. Full Disclosure: I received a copy of this book free from Bethany House Publishers in exchange for an honest review. I was not required to give a positive review of the book. All opinions are mine.